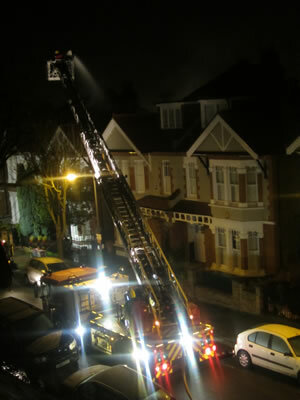 Officers were called at approx 05.10hrs on Friday 8 February to reports of a fire at a house in Holroyd Road SW15. 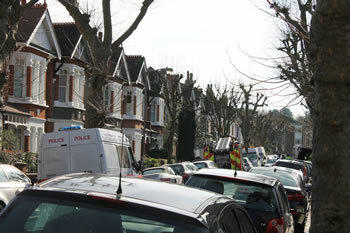 London Fire Brigade attended and dealt with the blaze, and a body was found. 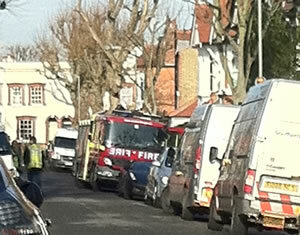 A post-mortem at St George's Hospital mortuary on Saturday gave cause of death as smoke inhalation. The post-mortem also revealed that the victim had suffered multiple injuries to his head and body, possibly inflicted by a sharp object. While formal identification awaits, next of kin have been informed and thepolice are satisfied the deceased was Adriano Bussandri, 51. He was the sole occupant of the three-storey house, he was seperated from his wife and eighteen year old daughter. "I am appealing for anyone who was in the vicinity of Holroyd Road at the time of the fire and might have seen anything suspicious to contact police. We also need to hear from anyone who knew Mr. Bussandri and had any recent contact with him. "It is now apparent that Mr. Bussandri had been subjected to a violent assault prior to the fire. If you have any information, please come forward and speak to my officers." Anyone with information is asked to contact the Incident Room on 020-8721 4868 ; if you wish to remain anonymous call Crimestoppers on 0800 555 111 . 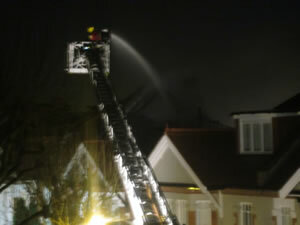 Holroyd Rd resident Lucy Allen said: "The man was a very lovely Italian - he lived opposite us. He had a kind smile and he used to let my son go in his Lamborghini - which had the number plate 'AMO' - I love in latin. His family were here yesterday. Everyone is very shocked and upset."